When I heard that Tarte were bringing out a full coverage Tape Shape foundation as a sister product to their ever popular Shape Tape Concealer, that was vegan friendly and oil free, I knew I had to try it. I’m a massive foundation junkie and am always on the search for full coverage foundations that can out do my two staples: Kat Von D Lock It and MAC Studio Fix. On the day the Tarte Shape Tape Foundation was released I snapped it up before I even left my bed hoping that it will be my new holy grail! 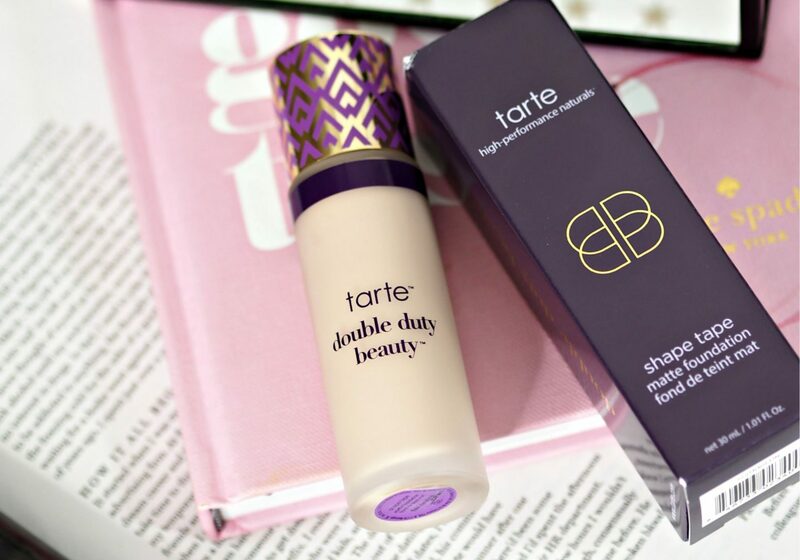 There are two versions of the Tarte Shape Tape foundation depending on your skin type. A matte version for those with oily skin and a hydrating one for those with dry skin. As I have super oily skin I purchased the matte version. 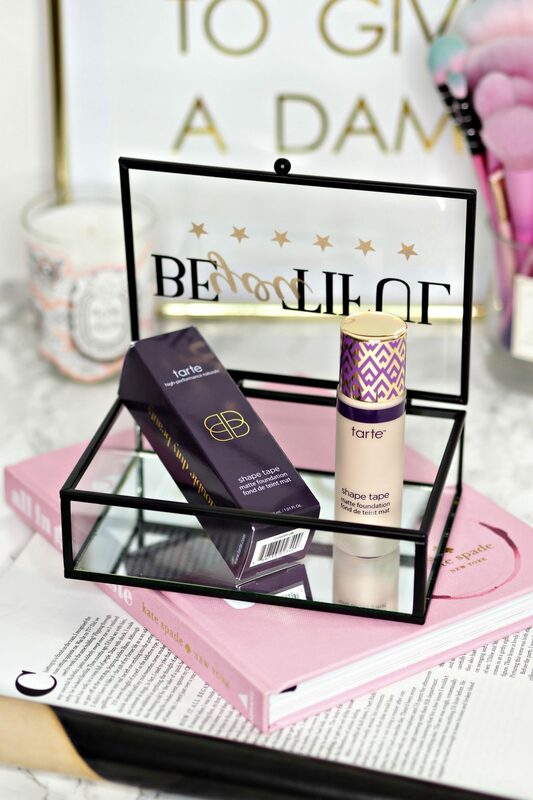 The Tarte Tape Shape foundation comes in a glass bottle with a gold lid and a design that matches that of the Shape Tape concealer. It has a high end luxury feel to – which it quite rightly should have for £35 a pop. You can tell the matte and hydrating versions apart as the matte formula has a purple stripe running along the top, where as the hydrating one has a pale blue one. The Tarte Tape Shape foundation comes in a jar with doe foot applicator that you wipe directly on to your face. 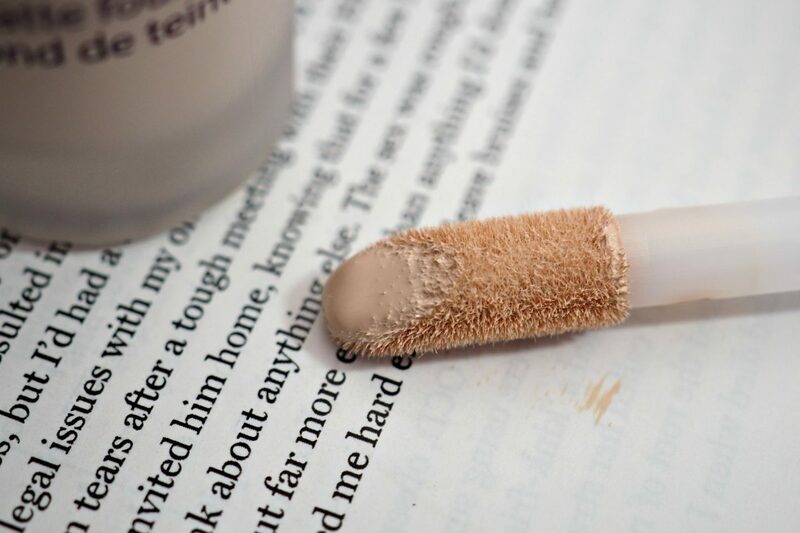 Around 3 swipes of foundation on each part of your face should do it. 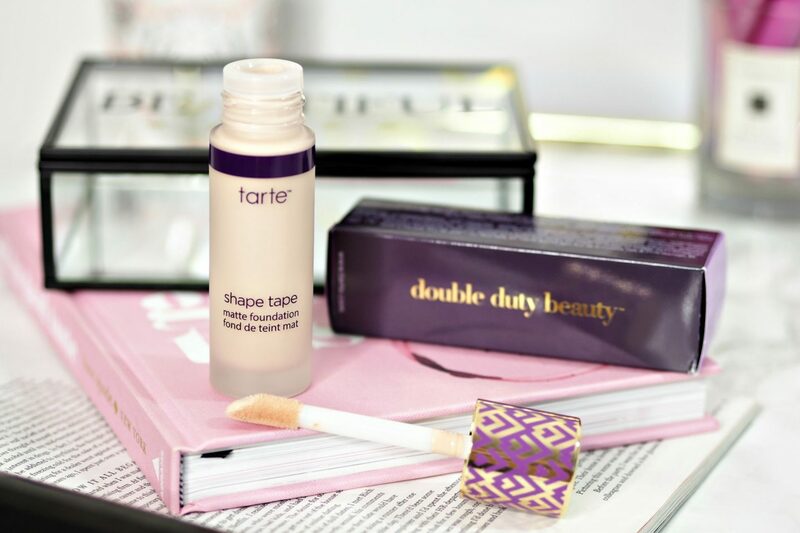 I tried using the Tarte Shape Tape foundation with both a brush and Beauty Blender – a brush certainly worked much better which is why Tarte recommend using their paddle foundation brush. When I tried using the beauty blender I found that it reduced the coverage and didn’t blend so well, which is a shame as I love the flawless look that a Beauty Blender gives you, so I’m never that keen on foundations that I can’t use it with. After trialing a few different methods I found it was best being applied with a brush – I used the Blank Canvas F20 (but any foundation buffing brush will do) to really buff the foundation into the skin. I followed this with a fairly dry Beauty Blender (much drier than you would normally have it) and I just pressed it into my skin to help set the foundation and give that flawless look that I love. As I bought this foundation online the day it came out it was very hard to gauge what shade to buy. There were no reviews to read and the only swatches available were the ones released by Tarte. I took a gamble and went for the shade “Fair Neutral” – I couldn’t have got it more right!! As you can see from the photo above it matches my complexion really well. The neutral shade is much better for my skin tone, compared to the “Fair” Shape Tape concealer which is a lot more yellow toned. I have also swatched the MAC Studio Fix in shade NC10 so you can get an idea for how it compares to that too. I would say it’s the best colour match I have out of all my foundations! A lot of foundations promise full coverage, but they don’t always deliver. The matte Tarte Shape Tape foundation on the other hand certainly is full coverage and lives up to its hype. It covers all of my redness, blemishes, uneven skin tone and left me with an even matte finish just as Tarte promises. It’s also buildable so if you have an area which particularly needs more attention, like a spot for example you can pack more on for even more coverage. However beware….. remember it’s thick so the more you put on, the more cakey it looks. I would also say it did a fairly good job at covering my pores…… initially. More to follow on that below……. Sadly this is where the foundation lets me down. Within an hour of wearing this foundation my oil starts to creep through and my nose/ chin are shiny. In under 4 hours of wearing it, it starts to go cakey in the nose/ chin, upper lip areas and lines become very visible. It creates creases in my smile lines which I don’t have with any other foundation I wear. After 6 -8 hours of wearing this foundation I look a mess. Seriously I’m embarrassed that I went to work wearing it and looking so bad – I’m shiny, cakey, patchy, my pores are now hugely visible and it’s completely come off the sides of my nose and chin. 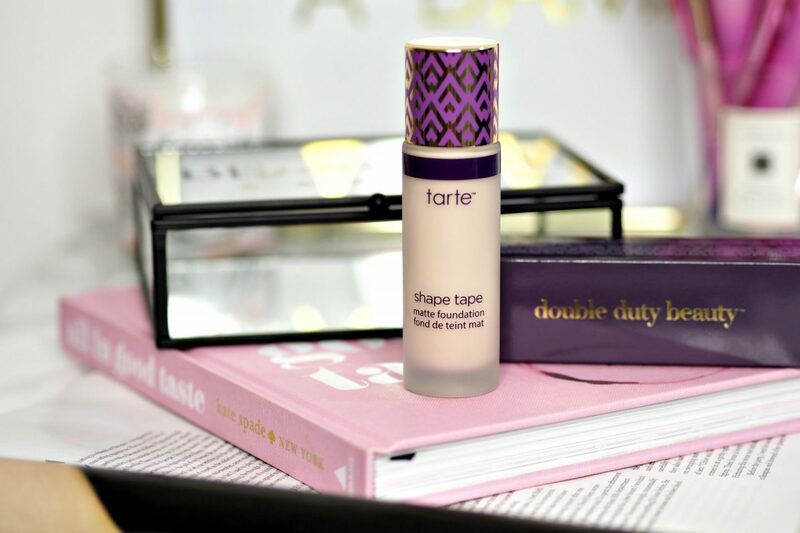 Each time I tried the Tarte Shape Tape foundation I tried it with a different primer to see if I could get one to work with it. No such luck – not with any of the primers I own anyway. I also used setting sprays and again no difference. 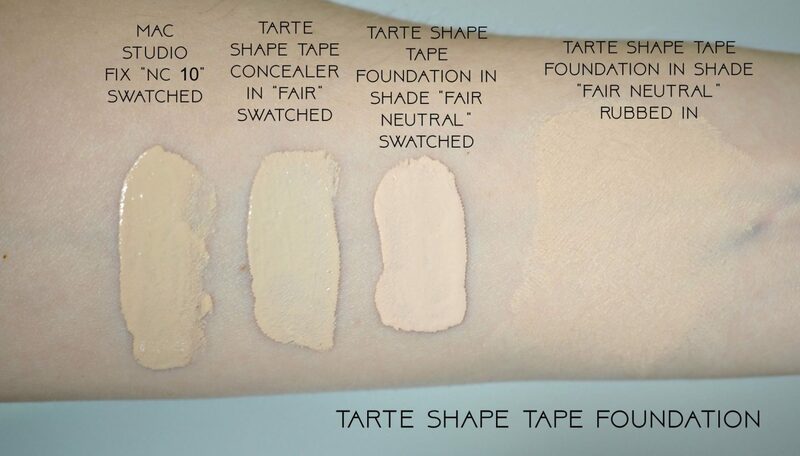 As soon as Tarte released swatches of the Shape Tape foundation they were soon met with unhappy remarks from disappointed customers. Tarte had launched the collection with 15 shades – only 3 of them being appropriate for darker skin tones. With many brands now offering larger and larger colour selections (think Fenty and their massive 40 shade range) it was disappointing to see that Tarte’s colour range was no way inclusive for people of colour. Following the backlash Tarte put out a statement. They admitted that they had planned the whole time to have more shades available but they were so eager to get the collection out quickly that they launched it before all the shades were ready to go. Tarte have apologised for their error and said they are doing all they can in their power to release another 10 shades as quickly as possible. Big learning curve for Tarte, but also for other makeup brands I imagine. I tried this foundation 5 times (for long periods of time) ….. I would usually try a foundation a lot more than 5 times before I gave my verdict on it, but as I found this foundation unwearable (due to the reasons I gave above) I could not bring myself to wear it anymore. Yes, that’s how bad I found it! I tried 5 different primer combos and it still didn’t work so I think I gave it a good go. I had really high hopes for this foundation and when it was first applied I was impressed, as it was so full coverage, but it’s the staying power that makes it a big no no from me. It also does feel very heavy on your skin, which I suppose you would expect from a thick full coverage foundation. As this foundation is made for people with oily skin I’m so disappointed that it didn’t do more to control my oil. I’d love to know if you have tried it, what your thoughts are? I’m still a Tarte fan, but sorry Tarte. this one isn’t for me. Previous Post Is Caolion The Answer To Large Pores?